Mostly Fiverr Freelancers Asking for Suggestion and Tips. They want to Learn about Fiverr and also want to learn how to get an order on Fiverr. 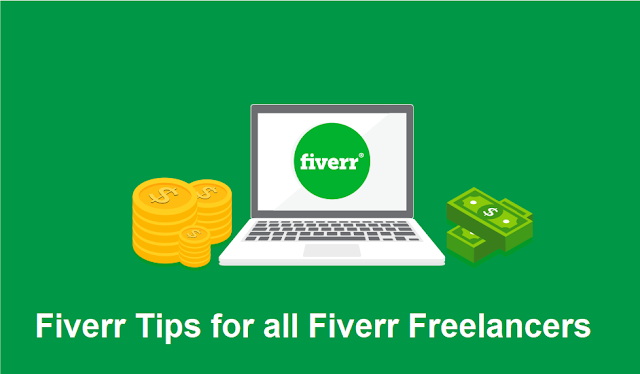 Fiverr is the Biggest platform where you will face with high Competitors so it's very important to get tips from experts. #1. Make your Gig title easy to understand and use keywords that describe your gig. #2. Using caps on one keyword in the heading will help it rank in searches (they won’t let you use caps on more than one word). #3. Produce a professional looking video to promote your gig. The great thing about Fiverr is that you have a huge range of professionals offering every marketing and promotional service under the sun, all for $5. Put some thought into your presentation and spend a little money. It will pay off. #4. Always deliver your Work on time. If you don’t you’ll get bad feedback and loose custom. #5. Offer something original and Different than others. Spend time looking through the different categories and exploring the wild and wonderful gigs there. You’re bound to get some inspiration. Oh! And try to do what you love, it will show in your dedication and quality of service. #6. Make your profile and gig pictures unique, well Design and original. A personal touch helps build confidence and trust. A picture of you on your profile and a picture/graphic on each of your gigs that communicates well works best. #7. Be willing to offer a ‘buy one get one free’ deal to get plenty of sales quickly and boost your feedback. #8. Mention that your gig is exclusively on Fiverr, at least twice during your videos or audios. Also, include the Fiverr logo on any videos and make sure you load your videos onto YouTube for extra exposure. Putting a link in your YouTube description that points back to your gig URL at Fiverr is a great marketing strategy too. #9. Write articles about your experience on fiver and submit it to different articles submission sites with your Fiverr Gig Link. These are free services and important weapons in your battle to get onto page 1. Remember to include your gig URL in the bio or resource box too. #10. Promote, promote, promote whenever and wherever you can. You can Use your social networks. Join different forums, Groups that tie in with your gigs and mention them there. I trust that the tips here have been helpful and that you understand a little more about the world of Fiverr now. How can improve English writing skills?